MDC_Empire talent Matthew Awisite Matey popularly known as De Cymple in showbiz has yet again released a wonderful afro classic tune to announce his presence in the music industry. 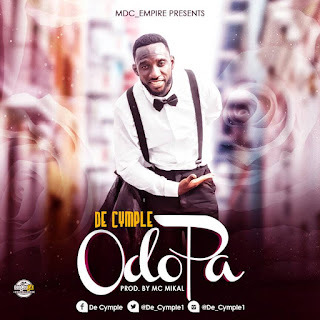 His unique style of singing and writting skills can be felt in his new song titled "ODO PA", produced by inhouse engineer Mc Mikal . This song is anticipated to add up to make concrete Ghanaian music and entertaiment accepted both locally and internationally. The Ashaiman singer and songwiter is poised for greatness and could win the hearts of many with this new song "odo pa".